Unfortunate injuries are the defining point for Week 10 of the NFL season. The Rams have taken a big hit in losing a crucial wide receiver while the Saints don’t even get a chance to see their new signing. The Rams bounced back from their Week 9 loss to the Saints with a hard-fought 36-31 win over the Seahawks, but it’s come at a cost. In just his second game back from another knee injury, Cooper Kupp suffered a torn ACL in Week 10. He’s subsequently been ruled out for the rest of the season. He leads the Rams in receiving touchdowns with six for the season and had been a consistent performer throughout the eight games he had played. Despite losing Kupp, the Rams are still $1.72 favourites to beat the also 9-1 Chiefs ($2.16) in Week 11. When Dez Bryant signed with the Saints, there was a high level of interest amongst NFL fans if not an expectation he would be any good. Now, we might not ever know. In just his second practice, Bryant tore his Achilles which ruled him out for the season. He waited for the right opportunity after his release from the Cowboys, but it may have cost him. Having just turned 30-years old, there won’t be a huge market for an aging wide receiver coming off a serious injury in 2019. Ezekiel Elliott is one of the best running backs in the NFL. Only Todd Gurley averages more rushing yards per game than Elliott’s 92.3 yards per game. Yet somehow, he can still leave us gobsmacked. On his way to 151 yards in the Cowboys’ 27-20 win over the Eagles, Elliott completed a hurdle and Olympic champion would be proud of pulling off. Overshadowed by Gurley and the hype that surrounds Saquan Barkley, Elliott reminded everybody what he’s capable of if he’s given the right opportunities. He’s 39-years old and his legacy as one of the great NFL quarterbacks is already concrete. However, Drew Brees is still producing MVP numbers as moves closer to winning his second Super Bowl ring. Brees has thrown 21 touchdowns through nine games, but it’s his pass completion percentage that is the eye-opener. He set the NFL’s single-season record for completion percentage in 2017 at 72%. 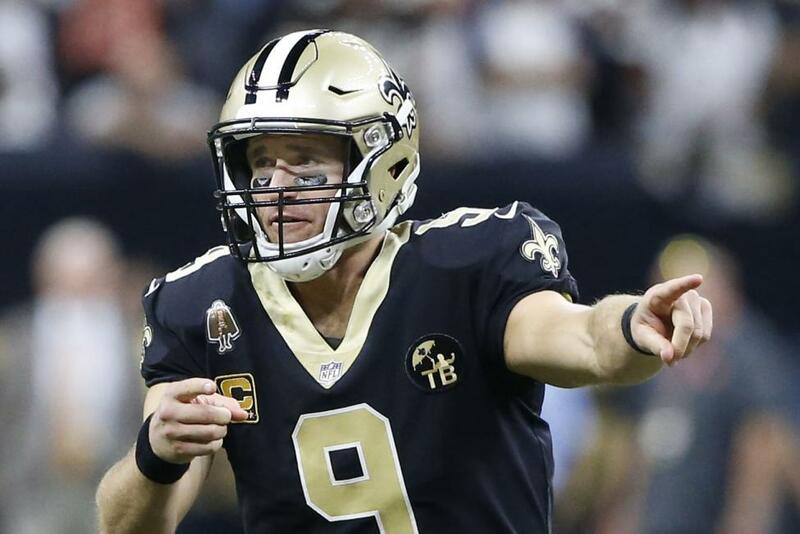 So far in 2018, Brees is completing a mindboggling 77.3% of his passes. If he keeps this pace, he will smash his own record and surely pick up the MVP award in the process. The two highest scoring teams in the NFL lead the way for punters. With the Saints scoring 36.7 points per game and the Chiefs 35.3 points per game, they’re blowing out the spread and cashing in most weeks. It’s no surprise to see the Raiders at the bottom of the standings – they can’t be trusted. Meanwhile, despite starting the season relatively well, Sam Darnold’s struggles have not only hurt the Jets, but also a punters’ back pocket.